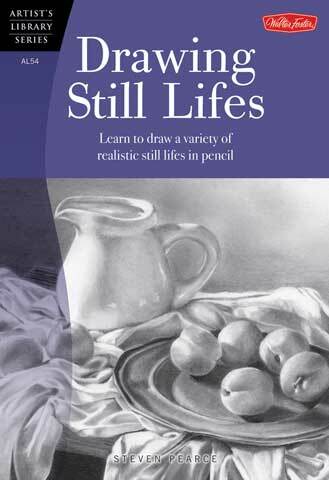 This book will teach the beginning artist how to draw realistic still lifes in pencil. With instruction on how to choose drawing paper, tools and materials the reader will also learn how to arrange compelling compositions and master basic pencil strokes. Approachable instruction from a professional artist includes information for selecting subject matter, setting up compositions, lighting scenes, mastering perspective, building up form and adding shading. Also included, is helpful information for creating a value scale and rendering a diverse range of textures, such as fabric, glass and wood. With its combination of art tips, techniques, and easy-to-follow step-by-step drawing projects, artists will be well on their way to creating beautiful graphite-pencil still life drawings of fruit, plants, trees, shrubbery, flowers, tabletop scenes and more.